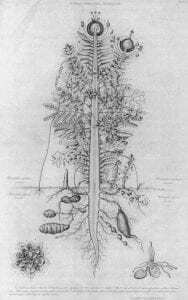 Along with the origins of vascular plants and seed plants, the origin of flowering plants represents one of the three most significant evolutionary radiations of land plants during the last 475 million years. With over 250,000 extant species, angiosperms are the largest and most diverse group of plants ever to have evolved. Paradoxically, we know less about the origin and early evolutionary history of angiosperms than we do about many considerably older groups of land plants. Indeed, Darwin’s “abominable mystery” continues to challenge evolutionary biologists. 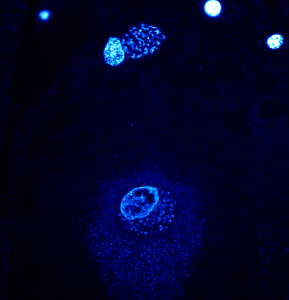 Our research efforts have focused on the evolution of double fertilization and endosperm, two of the most important and defining features of flowering plants. These analyses of the origin of the angiosperm reproductive syndrome have drawn upon a variety of approaches from developmental biology to inclusive fitness theory. 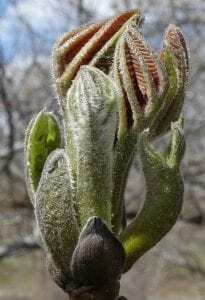 Naked buds are typically thought of as overwintering structures in woody plants which lack true bud scales (cataphylls). Although never formally studied, angiosperms with naked buds can be found scattered across the phylogeny (e.g., in members of the Adoxaceae, Juglandaceae, Simaroubaceae), suggesting that the evolutionary loss of bud scales is homoplasious. How, in an evolutionary developmental sense, have such ontogenetic and architectural modifications of seasonal heteroblasty become modified? Equally interesting are the functional correlates of naked buds and the possible implications for deepening our understanding of the generally accepted “roles” of bud scales. I have long been fascinated by the roughly 50 individuals between the mid-eighteenth century and 1859 who wrote about and advanced evolutionary ideas. These pre-Darwinian evolutionists are largely obscure figures, unknown today to most biologists. What was their role in advancing schemes of biological transformation (descent with modification), and how did each of these early evolutionists relate to Charles Darwin and his own thinking about evolution beginning in 1836 with the opening of his private notebooks on the topic? In addition, I have become specifically interested in those early evolutionists who were botanists, horticulturists, and plant geographers, and am currently working on researching the individuals more thoroughly. Double fertilization in angiosperms, in which one sperm fertilizes an egg while the second sperm fuses with the polar nucleus/nuclei of the central cell was first reported in 1898 and has longed been viewed as a defining reproductive feature of all flowering plants. 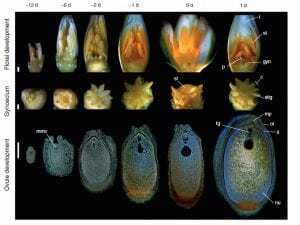 Angiosperms, however are not the only clade of plants that undergo a process of double fertilization, in which the sperm of a single pollen tube (genetically identical gametes) fertilizes two female gametes in a single seed. Members of the Gnetales (Ephedra and Gnetum) also undergo a regular process of fertilization, which, unlike flowering plants (where an embryo and an endosperm result), produces two embryos. 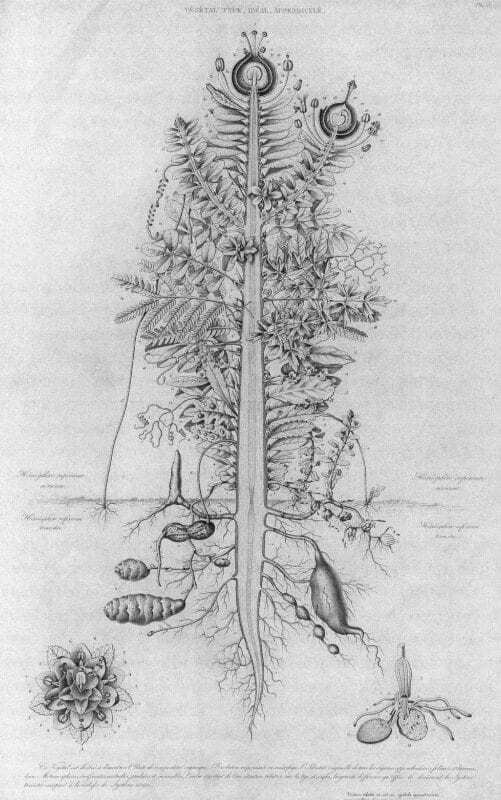 Over a century ago, embryological studies of specific conifers (e.g. Thuja occidentalis and Abies balsamea) revealed hints that there may also be a regular process of double fertilization to yield two embryos.